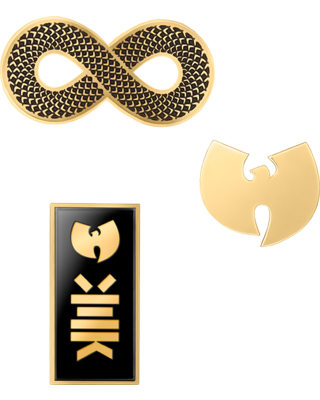 Who remembers Wu-Tang and the hit track Gravel Pit? I love that song. The Hip Hop group have partnered with Milk Makeup to release a make up line. 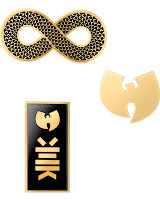 Milk Makeup was created in New York and Wu Tang Clan are also from NY. 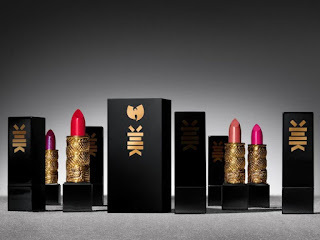 Wu Tang enlisted New York native Teyana Taylor as the face of their make up range. 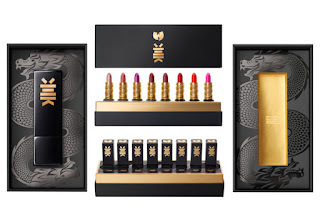 Expect a limited edition of 8 luxe lip colours and amazing accessories. I adore the lavish brand packaging gold and black works perfectly. All products are cruelty-free, and 100% vegan. check out the promotional video featuring Teyana Taylor, directed by Milk MakeUp Co-Founder Georgie Greville and produced by Wooden Collective and the original music is produced by RZA, Wu Tang member. Genius. You can also purchase a stunning 24 Karat gold make up mirror and a make up pin set. I love the collection.